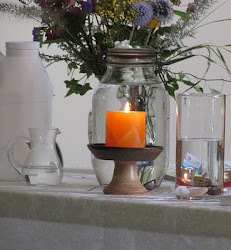 UU A Way Of Life: How do you want to live your life? By the law of scarcity or the law of abundance? How do you want to live your life? 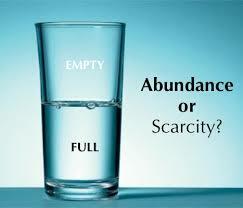 By the law of scarcity or the law of abundance? One of the unique understandings of Universalism is the understanding of God's unconditional love for God's creation. Born in a time of hell fire and brimstone preaching of the Puritans, Universalism was a big deal, a startling contrast to the image of God preached at the time, a God of judgment and condemnation and predetermined segregation of saved and damned. 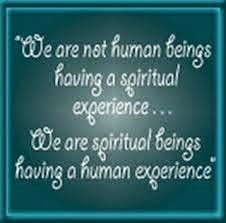 The universalists had an awesome insight into the nature of the spiritual realm. The universalists had a message for the world which, unfortunately, has grown dimer in the Trumpian era of white nationalism, xenophobia, and increasing income and wealth disparity. The citizens of the United States have created a moral morass. The immoral malady has taken over the country where over half its annual budget is spent on militarization while help for the poor is increasingly withdrawn. The United States of America has become a country most accurately described as a moral cesspool based on its policies and financial allocations. The light of understanding of Universalism is desperately needed to heal a country which has lost its way. God loves us all unconditionally. That is the truth on which our faith rests. God loves God's whole creation all the time. Human beings, however, want to be in charge. We have separated ourselves from God's unconditional love because we want to be special. To be special be must compare and in comparing there are winners and losers. Our specialness excels at the expense of others. In the desire for specialness the law, which we have made up because it isn't of God, of scarcity has been created. The law of scarcity requires winners and losers and to be a winner we must fight, we must attack others. The corollary law is "get them before they get you." With the creation of this corollary law of "get them before they get you" we have created hell, hell on earth. Hell on earth is of the making of human beings who are willful. It has nothing to do with God. God's world of unconditional love knows nothing of scarcity. In God's world there is enough for everybody. How do we who understand get of the world of hell we have created to the world of unconditional love of God? First, we need to understand. We need to understand that the hell on earth is the handiwork of mortals. Second, we need to intend to live in a different world than the hell we have created. Third we need to act by forgiving ourselves and others for our selfish, greedy behaviors. Fourth, we need to love ourselves by loving others and sharing what we have not jealously protecting it. The law of God, which all the great religions teach is, is the law of abundance. We have to chose whether we want to live our lives by the law of scarcity or the law of abundance. Simple choice. Easy to make. Harder to implement at first as we transition. However, with practice living by the law of abundance comes naturally. The Universalist understanding of the abundance of God's love needs to be increasingly preached. In our current environment, it is a message badly needed in our world. We need to become missionaries and teach this important idea of our faith in the world. We need to show it by sharing. Preaching isn't as influential as action. Sharing isn't just about money and material goods, it's about time and talent as well.